Found by Ian Suddaby at the old Banff Distillery, Aberdeenshire. 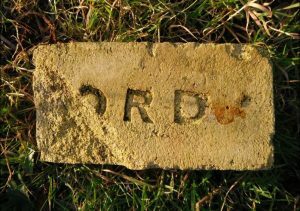 Ord Adams, Hill of Beath Coal and Fire Clay Works, Crossgates,Fife. Hill of Beath Fireclay Works, Hill of Beath, Fife. 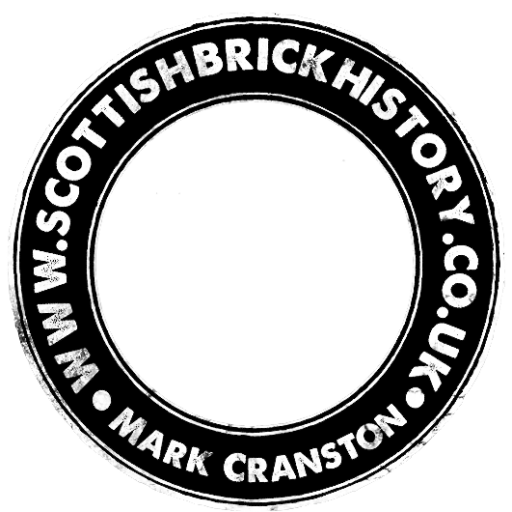 Canmore 21/05/1859 – Dunfermline Press – Andrew Alexander, ironmonger has removed to that shop, No 51 High Street, Dunfermline, opposite Music Hall Lane – Agent for Hill of Beath Fireclay Works. Below – 20/10/1859 – Dunfermline Press – Hill of Beath Fireclay Works in full operation…. 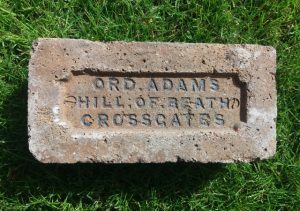 Ord Adams, Hill of Beath, Crossgates. 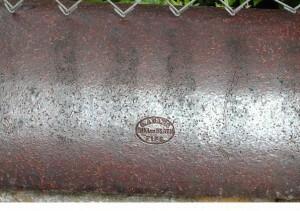 This example is not in my possession Coping brick . 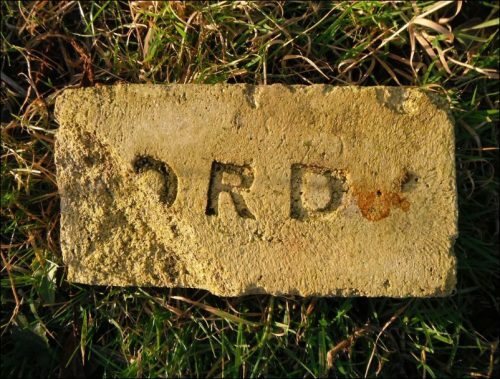 . .
Found by Tom Slaven in Fife Ord Adams,Hill of Beath, Crossgates . . . .